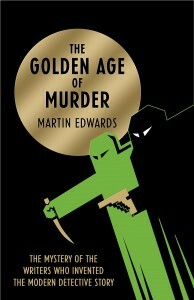 Or, to give it its full title, The Golden Age of Murder: The Mystery of the Writers Who Invented the Modern Detective Story, by Martin Edwards. 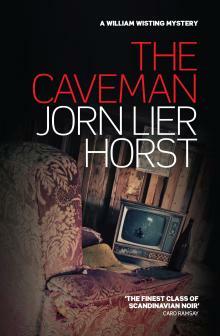 I bought it at Crimefest and starting reading it right away. I finished it in four days even though it is 435 pages long and the days at the convention were packed. It is an enthralling read. There are several strands to the book, skilfully woven together to produce a compelling narrative. The Detection Club, founded around 1930, forms the spine, along with the novels its members wrote, their relationships with each other, and the real life crimes that inspired them. Some would say that the judicial hanging of Edith Thompson after her conviction for being an accessory to the murder of her husband was itself a crime and we are not spared the details, rightly, I think. Certainly it troubled some members of the club and inspired some memorable fiction, such as E. M. Delafield’s Messalina of the Suburbs and F. Tennyson Jesse’s A Pin to See the Peep-Show. Agatha Christie comes across as a very sympathetic figure and Dorothy L Sawyers more so than I’d expected. This account of her love for the illegitimate son she felt she could not acknowledge and the failure of her marriage makes sad reading. The members of the Detection Club had their share of human weaknesses. Though none – so far as we know – were actual murderers, unhappy marriages and divorce were common. Authors little read these days – Henry Wade, R. Austin Freeman, M. and G.D.H. Coles and many others – are brought vividly to life. Perhaps the most intriguing figure is Anthony Berkeley who wrote under various names including Francis Iles. Martin claims that ‘the psychological puzzle of the relationship between Berkeley and E. M. Delafield is the great untold story of the Golden Age’ and he makes good on his claim. Above all it is the voice of the narrator, witty, judicious, humane in his judgements, that makes this book such a pleasure to read. I loved every word, and I confidently predict that in addition to the excellent reviews it has so far garnered (including Mark Lawson’s in the Guardian), that we will be seeing it short-listed for various awards. Bravo! One of the unexpected pleasures of becoming a crime writer has been the friendship of other crime writers. I first met Martin Edwards through the Crime Writers Association and we found we shared an interest in golden age crime fiction – though Martin knows far, far more than I do. We’ve had many absorbing conversations over the years. I’m especially pleased to welcome him to my blog today and to celebrate the publication of his new book, The Golden Age of Murder, which I know will be an enthralling read. I asked him, What are the golden age crime novels that you first read and enjoyed? The very first was The Murder at the Vicarage by Agatha Christie, swiftly followed by After the Funeral and then all the rest. I loved them, and in particular I loved being fooled by those ingenious final twists! Once I’d worked my way through all the Agathas I could find, I turned my attention to Dorothy L. Sayers. Ngaio Marsh, Margery Allingham. Anthony Berkeley and Henry Wade came later. like to see back in print? Walpole’s splendidly macabre posthumous chiller, The Killer and the Slain. I must get hold of The Killer and the Slain. You and I have been reading golden age crime for years. Why do you think everyone else has suddenly caught on? magazine CADS kept interest in the Golden Age alive. The Golden Age of Murder makes copious references, in end notes, to material from CADS for that reason. I’d also like to mention Doug Greene, whose Crippen & Landru press has been publishing, very attractively, a series of “Lost Classics” for years. of a million trade sales so far – a truly staggering figure. Thank you, Martin. I should mention that Martin also writes a terrific blog about crime-fiction at the splendidly titled http://doyouwriteunderyourownname.blogspot.co.uk.